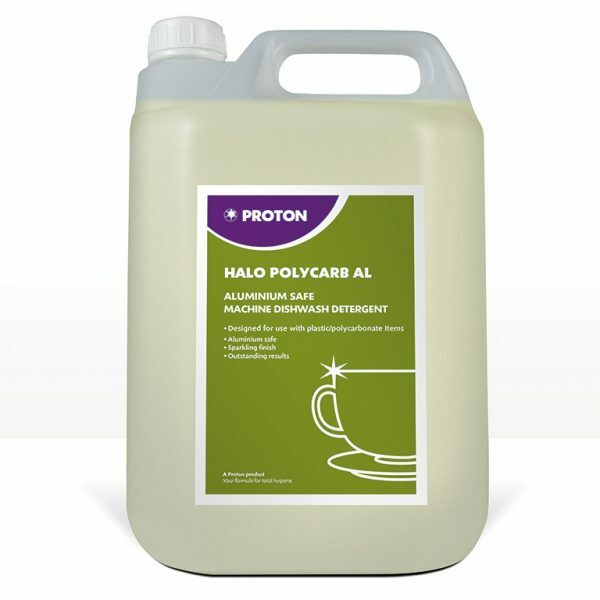 A detergent formulated for use with aluminium and plastic and melamine tableware in cabinet dishwashing machines. Powerful for the removal off grease, soil and ground on grime. 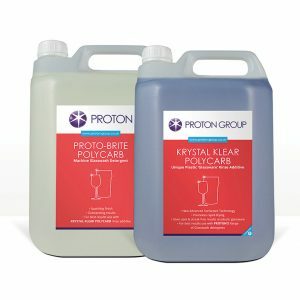 Specially formulated to deal with increased levels of water hardness, it performs a powerful clean while keeping your aluminium and polycarbonate items safe. A liquid dishwashing detergent designed for safe use on aluminium, plastic and melamine pots, pans, tableware and cutlery while being powerful on grease, soil and ground on grime. Suitable for all Cabinet dishwashing machines and pecially formulated to deal with increased levels of water hardness, it performs a powerful clean while keeping your aluminium and polycarbonate items safe. This should be used in conjunction with Halo RA Rinse Aid, available within the combination pack.